Veteran Journalist who served the nation for many years in Cameroon’s National Radio and Television -CRTV, Mr. Asonglefac Nkemleke will grace the stage to welcome the guests of Miss Cameroon USA on July 22 2017. 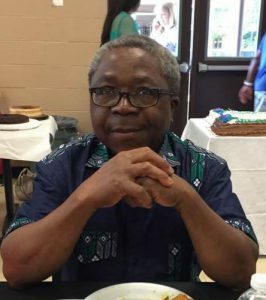 He is a great historian and educationist, very active in the community and involved in supporting immigrants to the United States to settle into their new world. He is a Father to all and believes in the empowerment of women. It is an honor to have such a distinguished personality among us.